It's very difficult to describe the rooms in this house. We have rooms that don't really exist in normal houses any more. Like Gathering Room. Sometimes called the Reception Hall. Not to be confused with foyer. Because it's not a foyer. Not really. And the Vestibule. Yes. 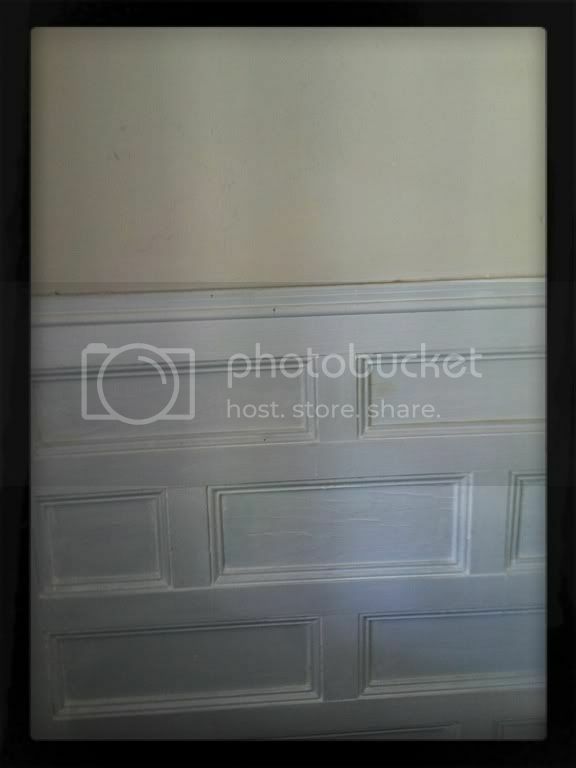 Vestibule. A small entrance hall or passage between the outer door and the interior of a house or building. Obviously that lost one doesn't fit. But you get the idea. 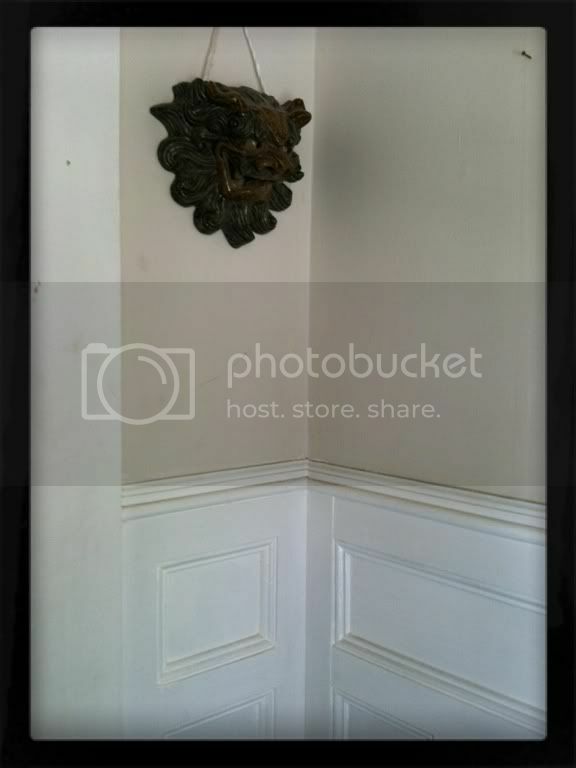 Before you get to our Reception Hall you have to enter the house through the Vestibule. It just sounds sooo fancy doesn't it? 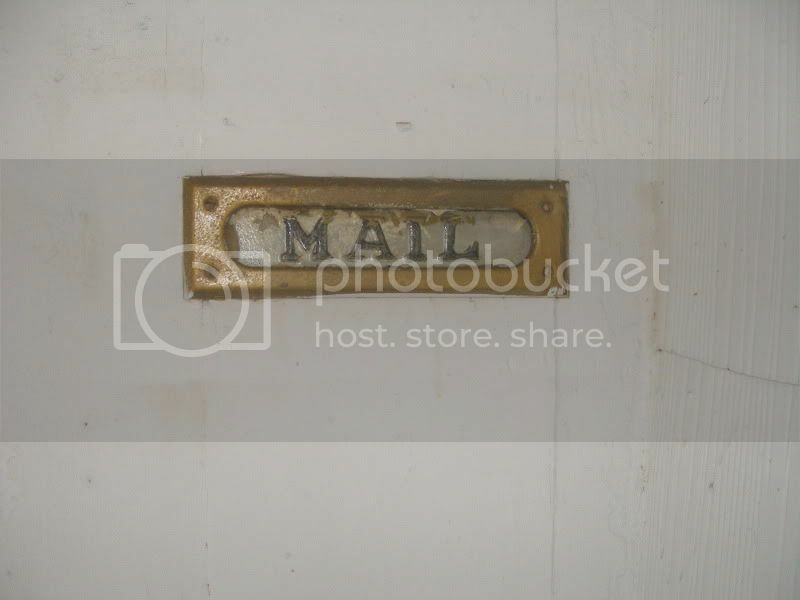 Sure, we have the back side of our mail slot. The front side takes a better picture. And it wasn't until I took the picture that I realized the walls weren't white. It looks like. Unless you get really close. Then you can tell it's cream. See that tiny rectangle above the "wreath" and below the scallops? That's the original twisty doorbell! 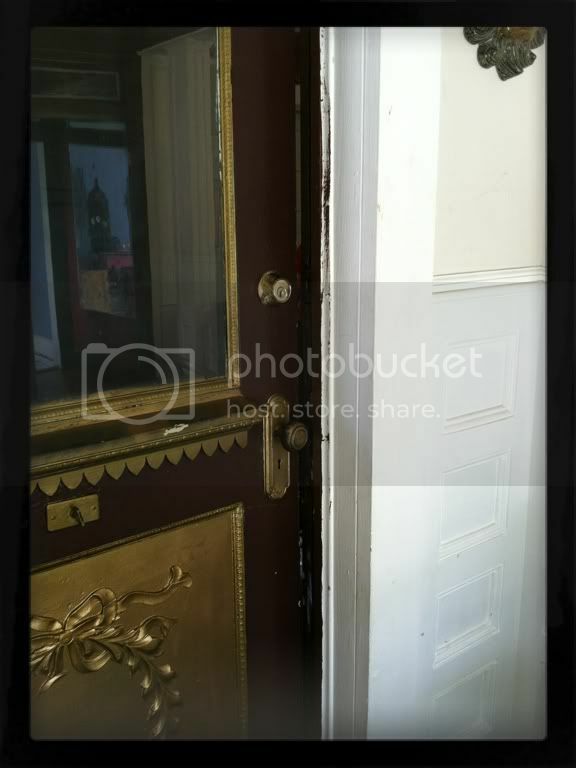 And our inner door. The one we can't paint unless we ask the city for permission. Gotta love historic homes. 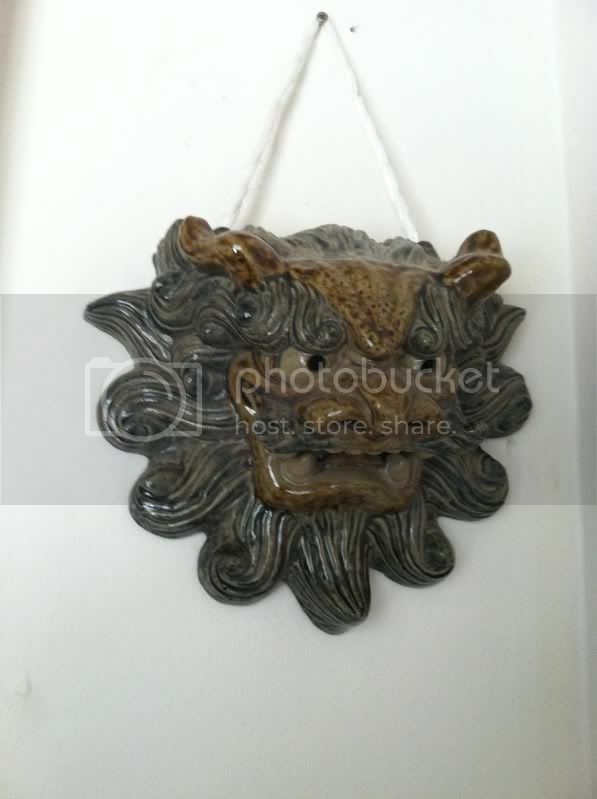 Here we have our Japanese lion thing. DH brought it back from his mission to Japan. He wanted it displayed in the entry...HANGING from the door. I said no. This was our compromise. Our neighborhood is known for its lions. This is our contribution. The city has to approve outside lions and well, this guy wasn't on the approved list. This is my before post. I'm in the middle of a makeover. My little lion needs some cheering up. And I have a budget of ZERO. So let's see what I can pull out of my hat? can you paint the walls gray to match the living room? i am thinking some sort of wallpaper to fill the insert of panels on the bottom halfsothing that will pick up the color of the mask.neutral or somthing that will cordinate with the door-since you can't paint it a different color. Thanks for sharing with the newbie party. You sound like you have your hands full between the house and kids. Glad you are creative! Thanks for sharing with the newbie party. It is for YOU, so please work a few off the list and make some new friends.